The cemetery and churchyard are listed separately by CWGC. 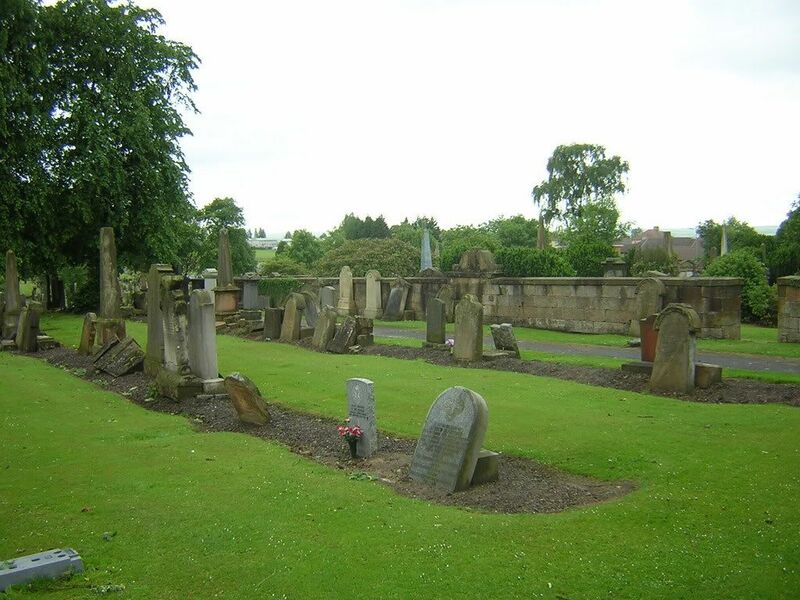 The churchyard has one burial so it is included here. 8.30 a.m. to 4.30 p.m from Monday to Thursday and 8.30 a.m. to 4.15 pm on Friday. 10.00 a.m. to 2.00 p.m. on Public Holidays for booking of interments only. 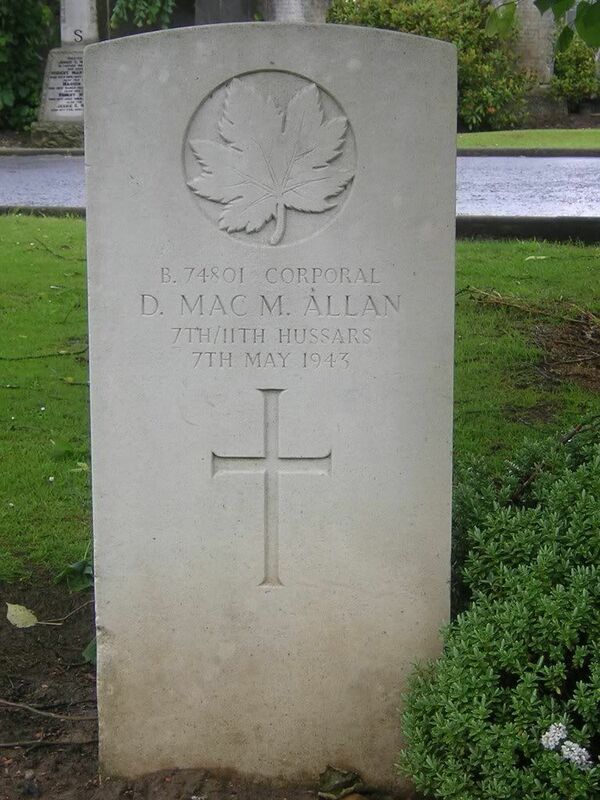 Only one grave listed in Cambusnethan Parish Churchyard on CWGC. 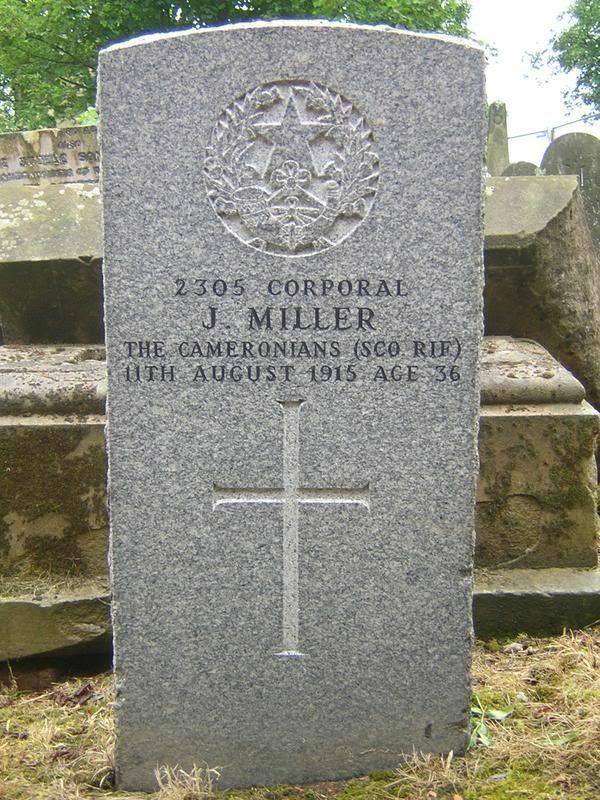 Additional information: Son of Robert and Janet Aitken Millar, of 8, Balfour Place, Leith, Edinburgh. Grave/Memorial Reference: B. I. 8. Grave/Memorial Reference: Sec. E. Grave 2773. Unit Text: 529 Inf. Bde. Coy. 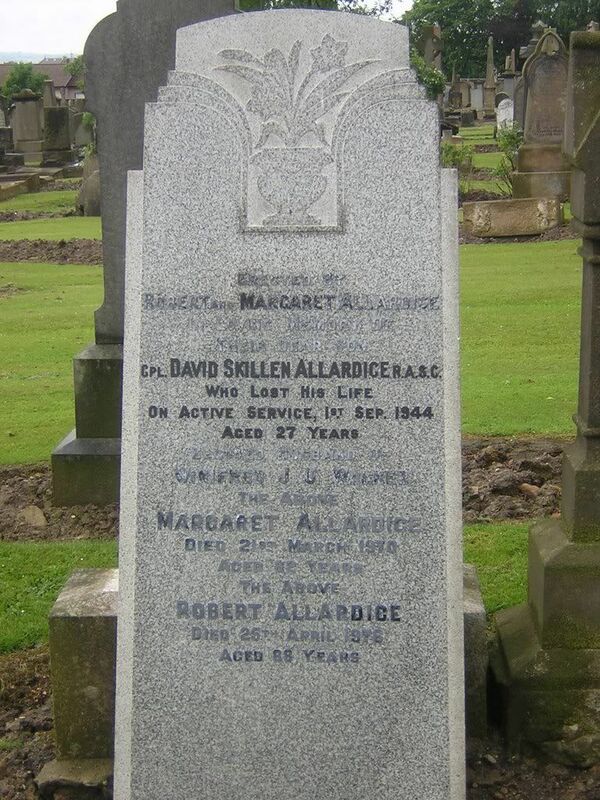 Additional information: Son of Robert M. Allardice and Margaret Morrison Skillin Allardice, of Overtown; husband of Winifred Upton Allardice. Grave/Memorial Reference: Sec. D. Grave 565. Unit Text: 321 Bty., 100 H.A.A. Regt. 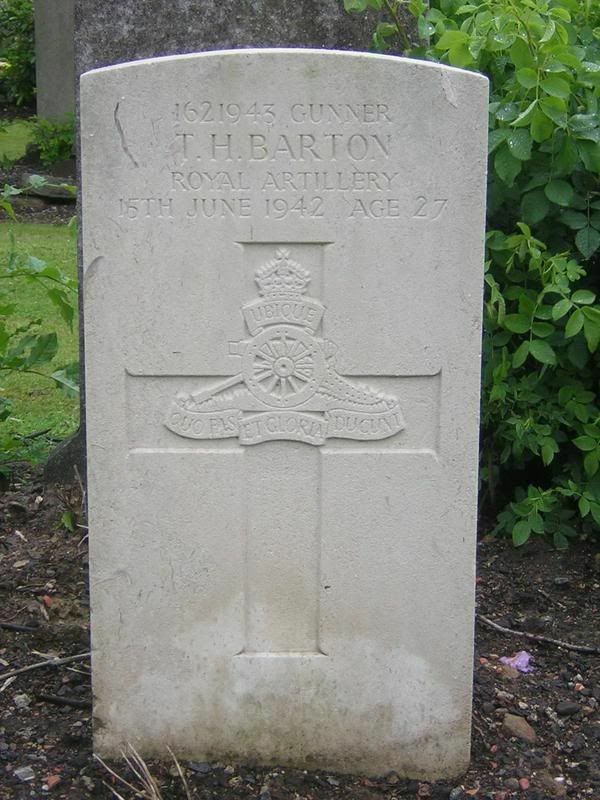 Additional information: Son of Joseph and Martha Houston Barton, of Wishaw; husband of Daisy Williamina Barton, of Wishaw. Grave/Memorial Reference: Sec. D. Grave 1027. 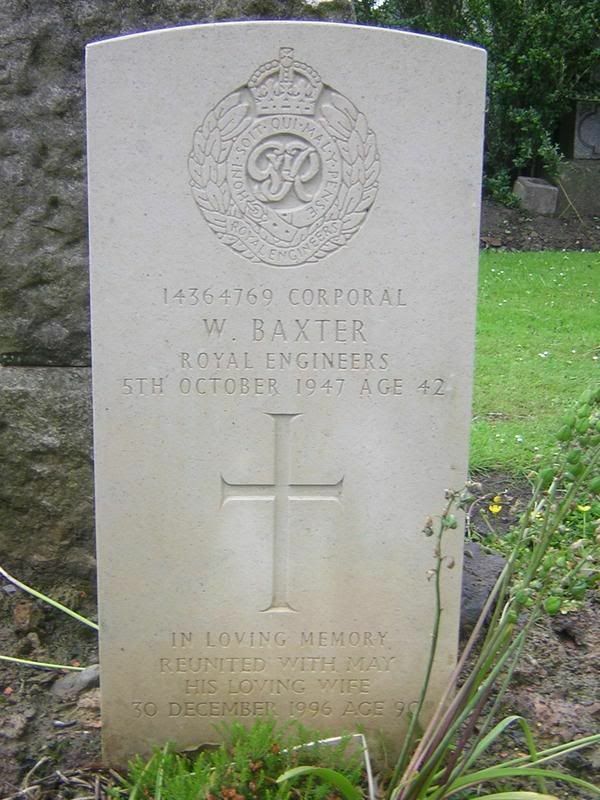 Additional information: Son of William and Isobel Baxter; husband of Mary (May) Baxter, of Eastwood, Essex. Grave/Memorial Reference: Sec. F. Grave 102 + 1/2. Unit Text: 70 Chemical Warfare Coy. 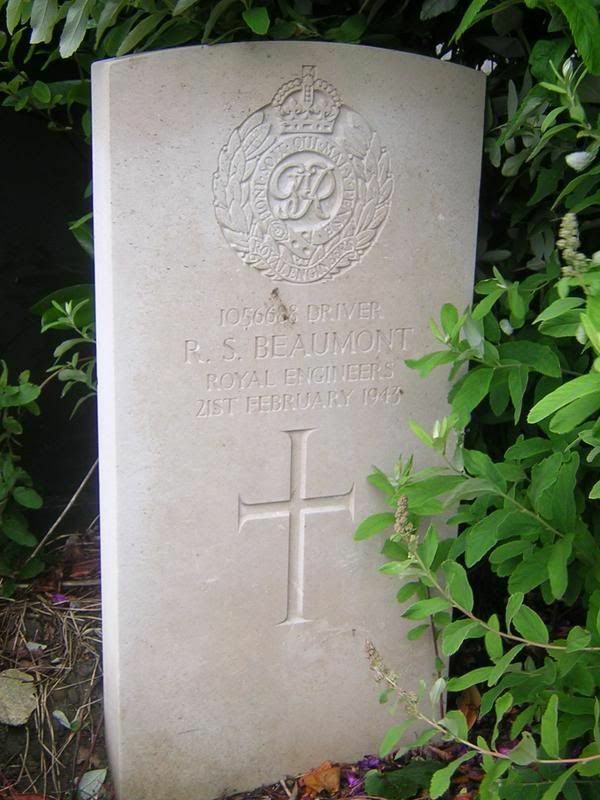 Additional information: Son of Alfred and Madge Beaumont; husband of Henrietta Beaumont, of Wishaw. Grave/Memorial Reference: Sec. B. Grave 373. 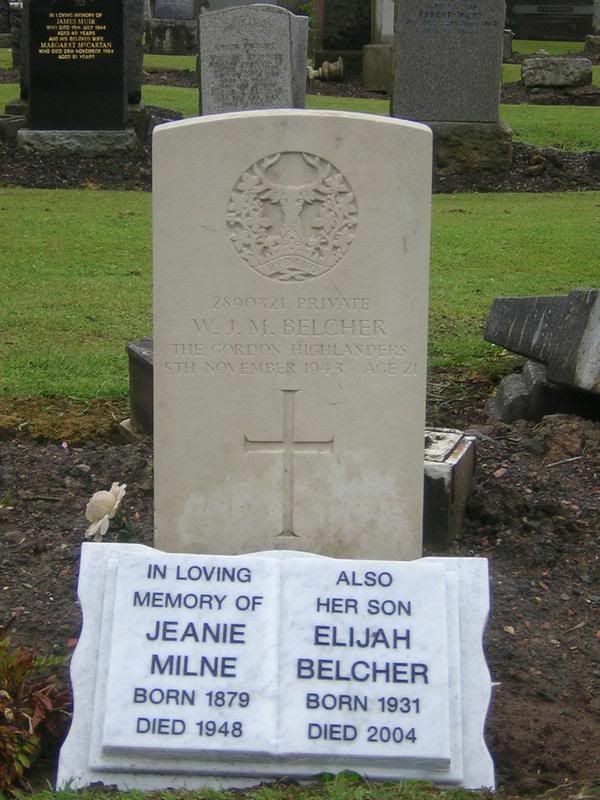 Additional information: Son of Richard and Jane Milne Belcher, of Craigneuk, Wishaw. Grave/Memorial Reference: Sec. 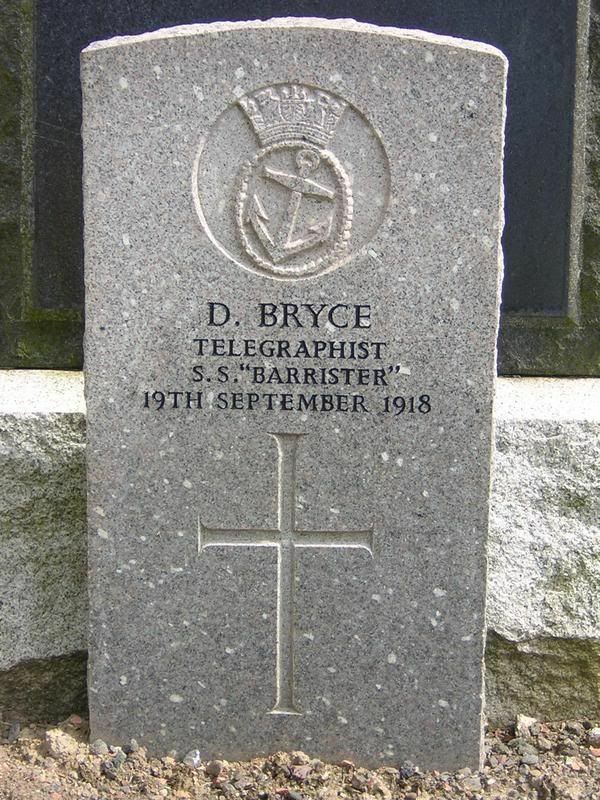 D. Grave 933. 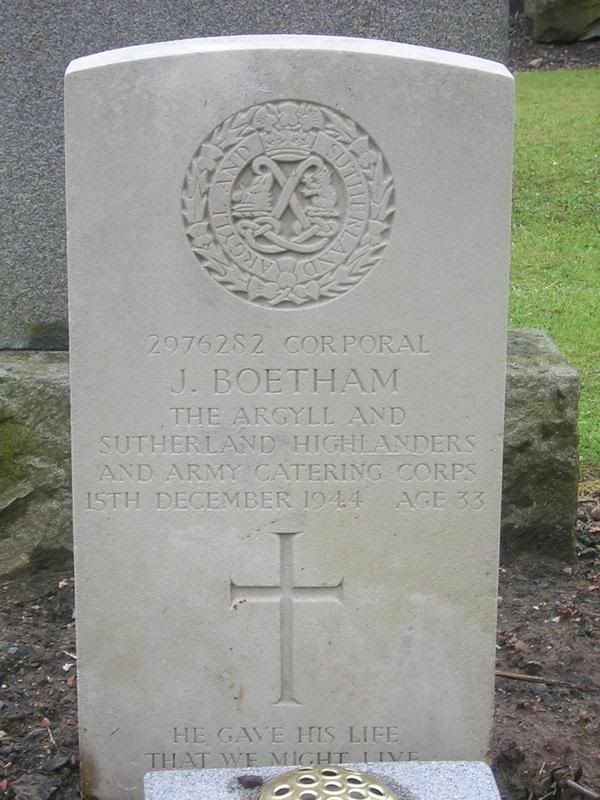 Additional information: Son of Thomas and Jean Boetham; husband of Eliza Nicol Boetham, of Wishaw. Grave/Memorial Reference: Sec. D. Grave 870. 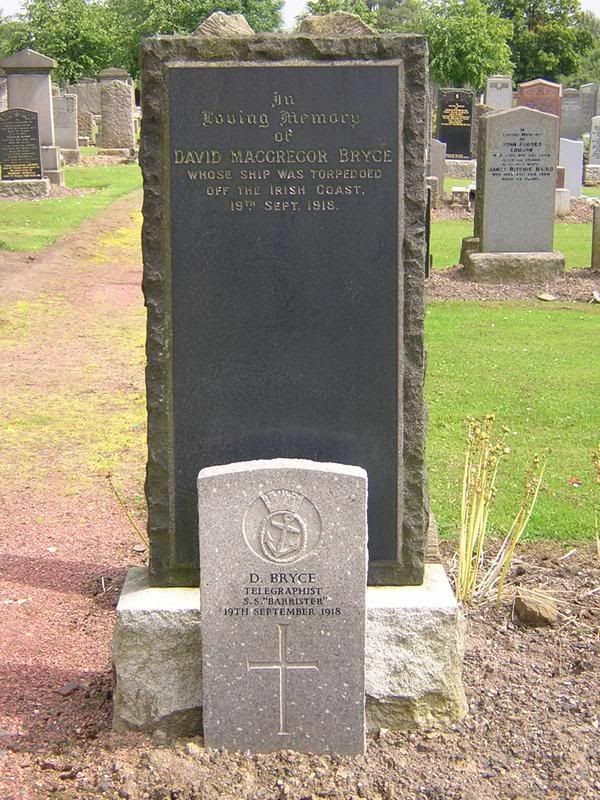 This is unusual as there are two gravestones for David Bryce. 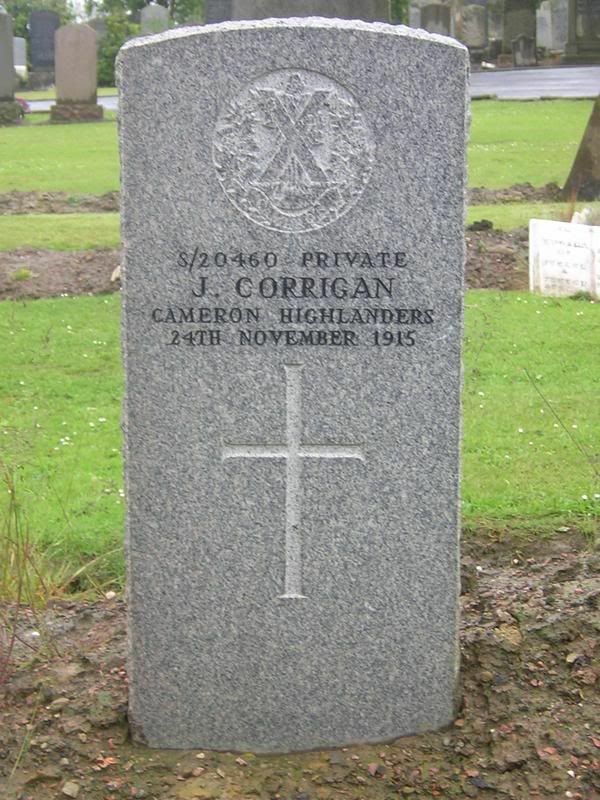 The CWGC standard stone, and a "private" one behind it. Unit Text: 4 Anti-Tank Regt. Grave/Memorial Reference: Sec. C. Grave 634. 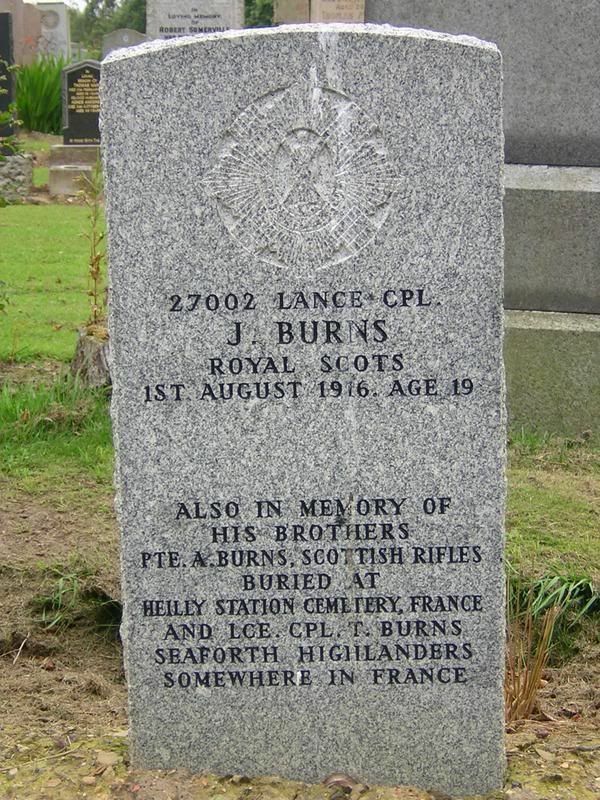 Additional information: Son of Mrs. Agnes Burns, of Shieldmuir Cottage, Whitegates, Wishaw, Lanarkshire. 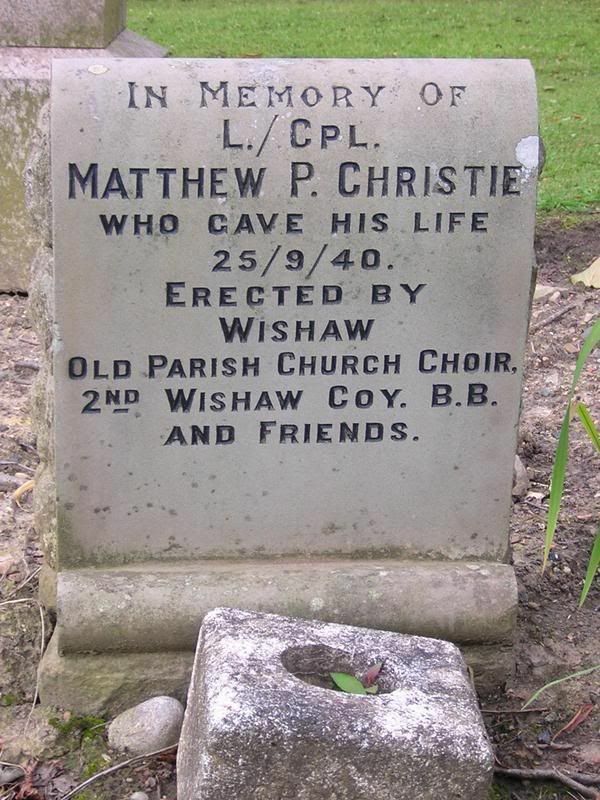 Additional information: Son of Walter and Janet Christie, of Wishaw. Grave/Memorial Reference: Sec. B. Grave 198. 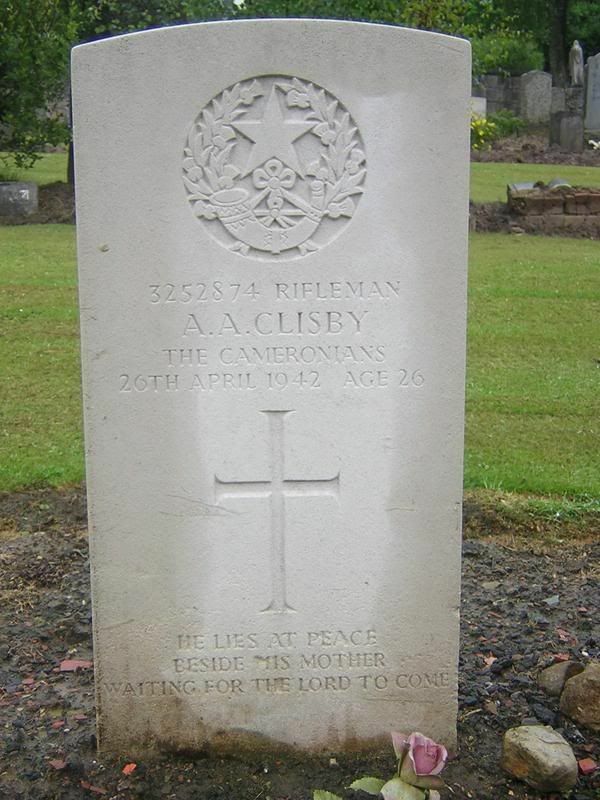 Additional information: Son of F. G. Clisby and Ann Clisby, of Wishaw. Grave/Memorial Reference: Sec. A. Grave 665. 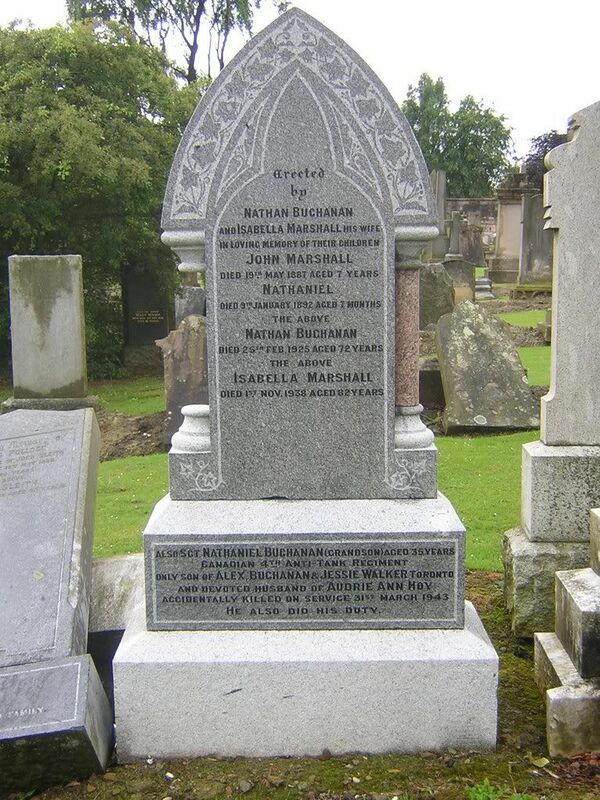 Additional information: Husband of Mrs. M. Corrigan, of 366, Craegneuck St., Wishaw, Lanarkshire.